In todays society, more and more people are looking to give themselves a smile makeover. At our centre your smile makeover can be completed in just a few visits. Your teeth will be prepared for this makeover and then,your new smile will be in place.Simple and really quick. If you have stained teeth, gaps between teeth, overcrowding, or crooked teeth a makeover with the use of high quality veneers or dental crowns, dental bridges, implants and teeth whitening will give you that terrific smile that you always wished for. 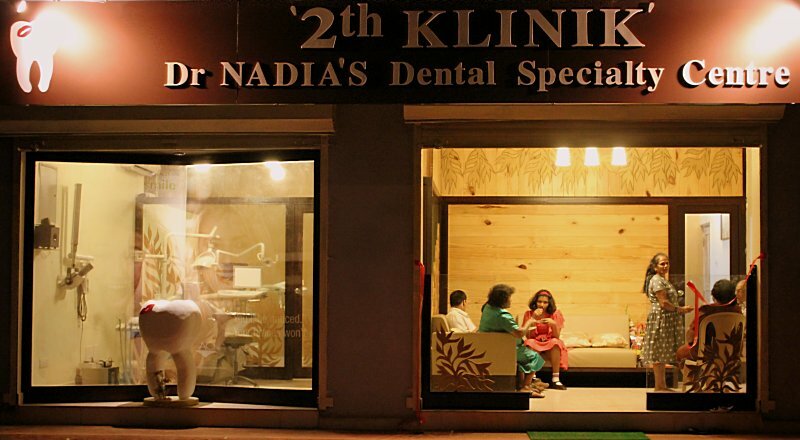 If you are looking for high standard , hygienic 'dental esthetic &care center', Dr Nadia's dental specialty centre is the right place for all valued customers like you. We promise to make your visit as comfortable and enjoyable as possible. When you let us worry about the details, the only thing you ned to do is sit back and enjoy your affordable dental care experience. When you visit us, we will explain your treatment, provide quality, gentle care and give you the information you need to continue caring for your teeth at home. where you’ll find a warm, friendly and modern practice conveniently located with dedicated Dentists and Hygienists committed to providing you with a wide range of treatment services at an affordable price.